Blurb: It's like The Giving Tree gone horribly, horribly wrong. Review: I have an interesting relationship with this book. I'm still not sure if I love it or hate it. I thought this book was SOOOOOOO boring for the first 100+. I thought it was didactic, and I KNEW there was supposed to be some kind of deep message, but the fact that it wasn't affecting me was really bugging me. But then... something changed. I don't know what it was. All of a sudden... I loved it. And then I thought it was a cheap shot. And then I thought it was beautiful. And then I wanted to throw it against the wall. And then I was sobbing. And then I decided that I would give this book the worst rating ever. I think what was the hardest part was that by the time I finished the book and was sobbing, I thought "This isn't fair! I don't like this book, so why is it making me cry so much?!" It made me angry. I had been prepared to hate it. There was so much that made me want to hate it. And then for it to suddenly make me want to love it?! Gah! Emotional turmoil! 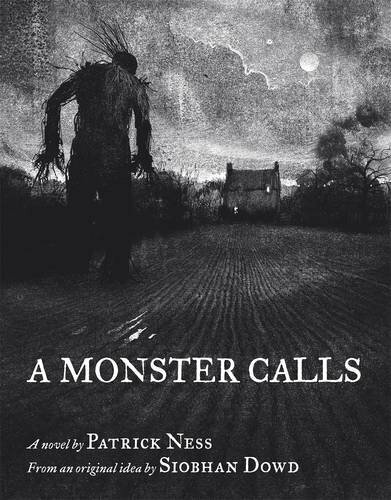 It boils down to this: A Monster Calls was not my kind of book. It was a little too dependant on its metaphors, etc. However, I really liked it. Hence the conflict. The bright side is that it's really short. It only took me a couple hours to read, if that. So whether you love it or hate it, it's not going to take a lot out of your day. This review just made me laugh :) I happened to have loved it. That being said, I think one of my favorite parts was the author's note talking about "making trouble" at the very beginning. Wait! We're getting the wrong idea! I LOVED the book, but it left me really conflicted. So Cecelia I would have to agree with you. I was thinking about it for DAYS afterward.